In a stunning, utterly asinine move, legendary metal band Manowar, frustrated with the false metal policies of the Obama administration, seceded from the United States this morning. President Obama has recently made several decisions that have angered the Anti-False Metal Community including vetoing a bill that would have mandated life prison sentences for anyone caught with a Staind or Nickleback album and brought back the guillotine for anyone convicted of knowing the name of more than one Stryper song. Adams and the current lineup of the band have claimed the island of Guam “in the name of real, serious, true, genuine, honest, authentic, unquestionable, forthright, unfeigned, irrefutable, unambiguous, steadfast, bona fide, resolute, unaffected, substantive, uncontrived, headbanging metal”. Guam will be a refuge for frustrated metalheads, tired of living in a world where even a new Morbid Angel album can bring shame and despair. If you want to find out what started this whole mess, here’s a link to the original article. There have been many scathing editorials written throughout America on the Sarah Palin Oystergate Scandal. This recent item was a column that appeared in this morning’s Fort Worth Examiner. Jonathan Winthrop, who is referred to in his bio as a “true, red blooded patriot”, writes a weekly column for the paper called “America: Love It or Leave It or Don’t”. 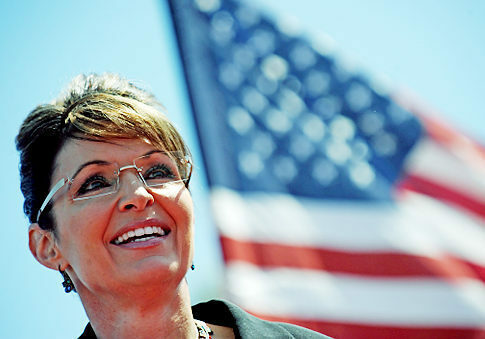 If there’s one thing Americans have had enough of its Sarah Palin bashing. First, the liberal media machine said she was not “intellectual” enough to join their little club. Next, they said her words were causing deranged loners to turn violent. Now, they are saying that she hates Swedes. By the end of the year, they’ll be accusing her of the Kennedy assassination, breaking into the Watergate Hotel and turning Jeffery Dahmer into a cannibal. It is interesting that every time that Kenyan in the White House has his poll numbers drop or has to go to the sentencing of one of his former Chicago cronies, Sarah Palin says something that gets herself in trouble. If one looks closely, it starts to become obvious that the Obama administration, along with the wealthy Hungarian-American George Soros, are behind this latest round of Sarah bashing. Sound crazy? Let’s look at the facts. First of all, lets clear up the comments made by Palin. We need to face the uncomfortable fact that much of what Palin said is true. Unless they started having elections recently without me noticing, Sweden is a socialist country. Tax rates for the average Swede are right around 99.3 percent. According to several studies, the average Swede works two and a half hours a week. Yet, for less than 12 hours of work a month, Swedes have full health care, a chauffeured limousine ride once a week to the local “free store” and are given up to four massages a month. And who pays for all these perks? Why the taxpayer, of course! From a young age, Swedes are taught not to work. The most commonly used Civics Textbook in Swedish classrooms is a malignant piece of socialist propaganda called “Why Work…The Government Will Pay You Anyway”. The crime rate among Swedish teens is appalling. By the age of 15, 1 in 2 Swedes has committed a violent crime, stolen a car or missed more than 10 days of school in a year. Most young Swedes wile away their time hanging out with friends or listening to violent so-called “heavy metal music” or surfing on the Internet in these things they like to call “chat rooms”. Their government sponsored schools and socialist parents are getting them ready for a life of reading Lenin, taking government handouts and mugging senior citizens all while the US tax payer foots the bill. In this context, Palin’s point makes a good deal of sense. Do we want our young men and women forsaking their commitment to truth, justice and the American way and becoming like young Swedes? I, for one, do not. Much of the rest of the story includes your usual cast of characters. Wildly inaccurate MSNBC stories, articles written by deranged (George Soros sponsored) bloggers and money hungry former employees and their fictitious accounts of anti-Swedish tirades by the Palin family. All the while, the Obama administration skillfully manipulates the media into anti-Sarah commentary and Swede-baiting. It is not a coincidence that several of the states with large Swedish-American populations were toss-up states during the 2008 election. Minnesota, Wisconsin and Indiana could all sway the 2012 election in favor of Obama. The Obama administration, a ruthless organization of Chicago pols bent on forcing all working people to their knees at the altar of Godless Islamic Communism, is again playing puppet master, pulling the strings of the media in order to force good people to believe bad things. Before we join in with the legions of torch carrying former 60’s love children eager to step on the throats of hard working Americans with their collective Birkenstocks, let’s remember the lessons of 9/11. The price of freedom is eternal vigilance. The price of eternal vigilance is abiding loyalty. The price of abiding loyalty is everlasting devotion. Let us never forget the dream our forefathers struggled and died for. Let us never forget the price some have paid and others may pay and still others haven’t paid. We must defend freedom! We must defend liberty! We must defend Sarah!